It’s been almost two years since I posted anything dad related! Last Father’s day reminded me that I still have a lot of things to post. So here’s one! 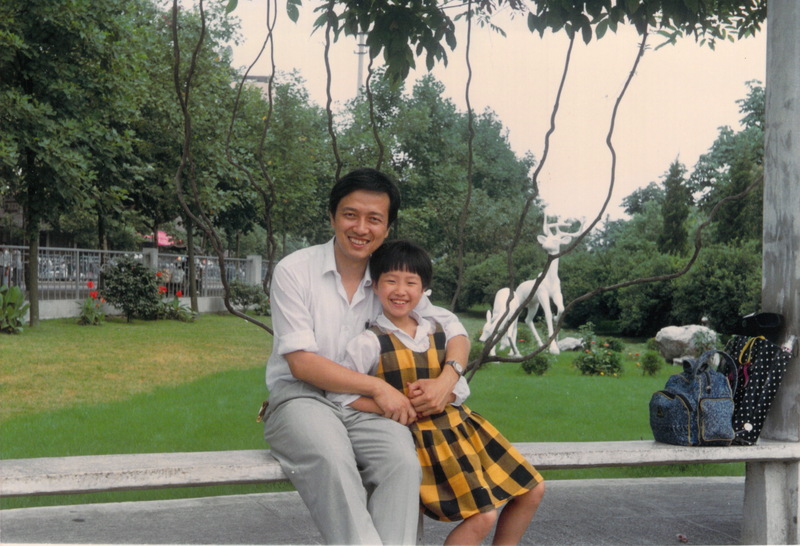 I know I know, it just so happens that the years when my dad was interested in sewing, I sported a boy’s haircut. 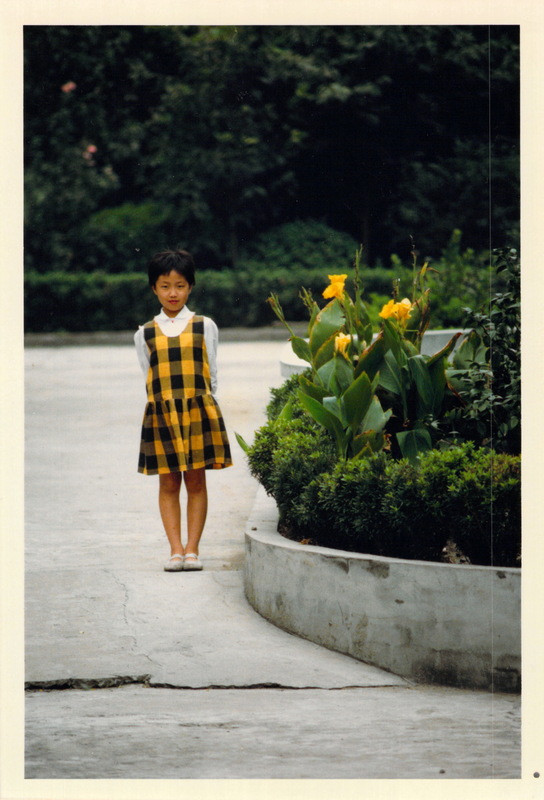 I remember wearing this drop waist dress when playing with some kids near where my grandparents lived in hangzhou. Dad was trying hard to get a good photo of the dress with me running around like crazy. Here’s dad and I 🙂 I never noticed it before but when I was looking through all the pictures, I noticed that in the ones I take with my dad, I am always smiling/laughing more. This entry was posted on Monday, July 15th, 2013 at 11:30 am	and posted in juebejue's Dad sews. You can follow any responses to this entry through the RSS 2.0 feed. Ohmygosh, you were so cute!! I had a similar haircut about that age. Must have been popular in Asia around that time =) we would have made great friends, running around together! I’ve gotta find a photo of me like that now! lol!! i have to see this! 🙂 find it and send it! unfortunately for me, not at all! he lost interest after a few years… he’s into gardening right now!